With stunning views of Muri Lagoon, spacious indoor/outdoor living and a private pool, you will not want to leave. in the foothills of Muri lies Villa Maria, a stunning architectural split level three bedroom home with wrap around balconies on each level giving spectacular and loving views of Muri surrounds and the lagoon beyond. If no holds barred luxury is what you need then Villa Maria will tick all the right boxes. This property is not a holiday home but a true home away from home. 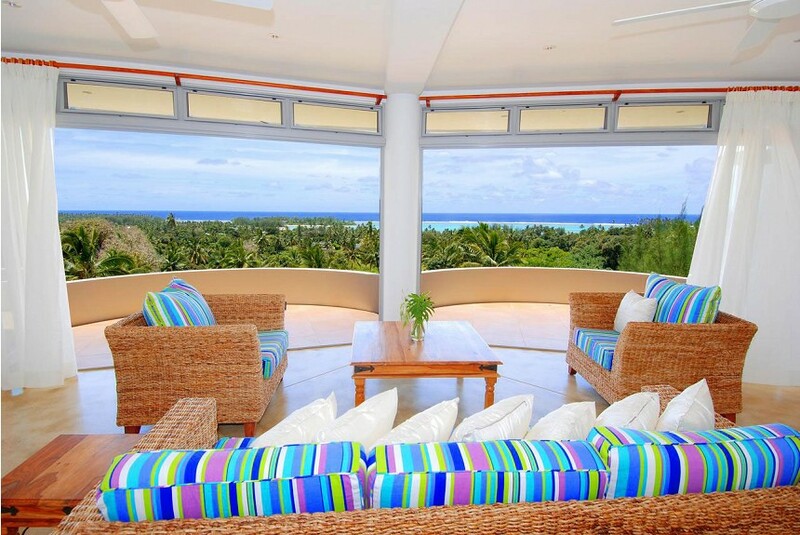 Both floors have stunning panoramic views of Muri Lagoon and it's Motu's (little islands in the lagoon) from almost every room including all bedrooms. Through the main entrance, the top level opens up to light filled spaciousness with a central modern and generous kitchen which opens onto the outside deck and dining area.